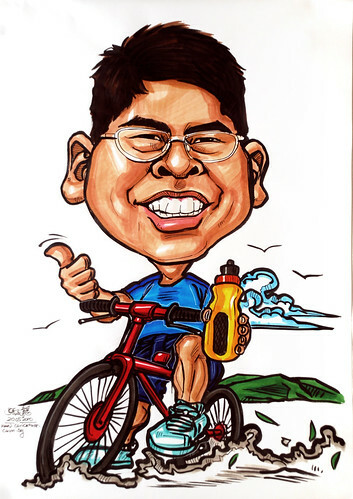 We are pleased to have you as our caricature cartoonist for our upcoming project, NUS Yearbook 2010. Also attached is the list of superficial character our client wish to have their students matching their profession or interests..."
Quite a big job after the Toshiba, as this batch comes with theme. First one, theme is cycling.